Antero in the Upper Well Area; Independent Oil and Gas Association Legislative Reception, 6 – 7:30 p.m. at the Marriott. SENATE: Senate Convenes at 11 a.m. There are no bills on Second Reading on Wednesday, January 24, 2018. 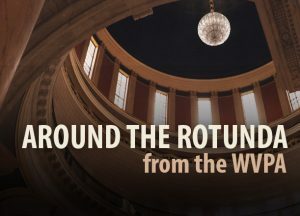 SB 119: Establishing WV business growth in low-income communities tax credit. HOUSE OF DELEGATES: House Convenes at 11 a.m.